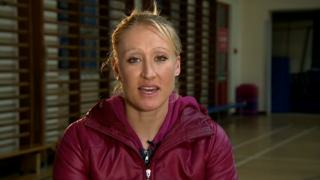 Former British number one Elena Baltacha announces her decision to retire from playing in 2013. The Scot, who won 11 singles titles, reached a career-high ranking of 49 in the world in 2010, but struggled with injury and illness during her career. She died on Saturday, aged 30, after losing her battle with liver cancer.